The new Terraria content coming next year will be exclusive to the console versions of the game. There was a pretty good blow-up a couple weeks ago following the announcement that the previously-PC-exclusive indie hit Terraria is coming to consoles next year. The problem wasn't the console versions themselves, but rather what fans saw as the abandonment of the original game despite the promise of ongoing, Minecraft-style development, not to mention the crushing disappointment that followed what many fans assumed was a tease of resumed work on the PC edition. Even worse, the Xbox 360 and PlayStation 3 versions are coming with new content - and now Andrew "Redigit" Spinks, the creator of Terraria, has confirmed that the PC version isn't getting it. That's because the console release of Terraria is being handled by 505 Games and Engine Software, while he remains essentially outside of the process. "We haven't been directly involved with development on the port, so when Engine offered to create and implement this new content for the console edition, it was like icing on the cake for us," he told Beefjack. It's understandably disappointing for long-time fans of the game, but it's also a redemption of sorts for Spinks, who is apparently sticking to his "no new development" guns after all. And you can hardly blame the guy for standing back and letting someone else pick up the ball and run with it, especially if they're going to toss him a few bags of money as they go by. 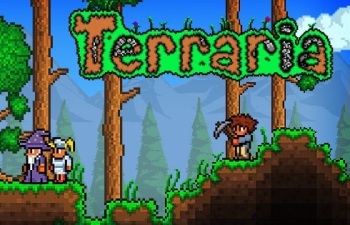 Terraria is scheduled to arrive on Xbox Live and the PlayStation Network in 2013.